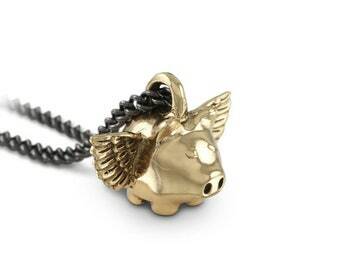 Our Flying Pig charm bracelet, with signature Lost Apostle clasp. The coolest item in our collection this is not. But it's certainly one of the cutest. 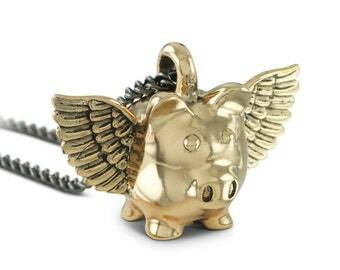 The Flying Pig now touches down briefly to make an appearance as a bracelet, but he won't be around for long. Brand new in the shop, joining his pendant sister and earring cousins, it's the whole fam damily. 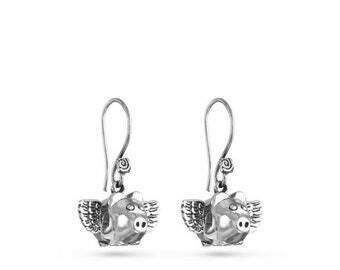 Go the pigs. 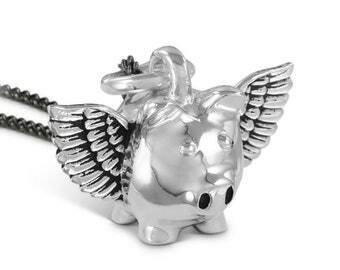 Beautifully carved, cast from the finest white bronze and thickly plated in silver. 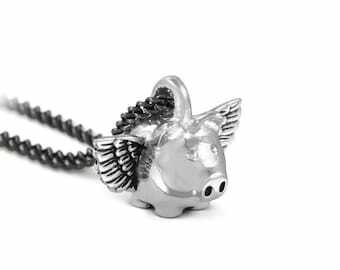 The piggy comes on a meter of the finest Spanish leather so there's plenty of room and will wrap around the wrist 4 times. 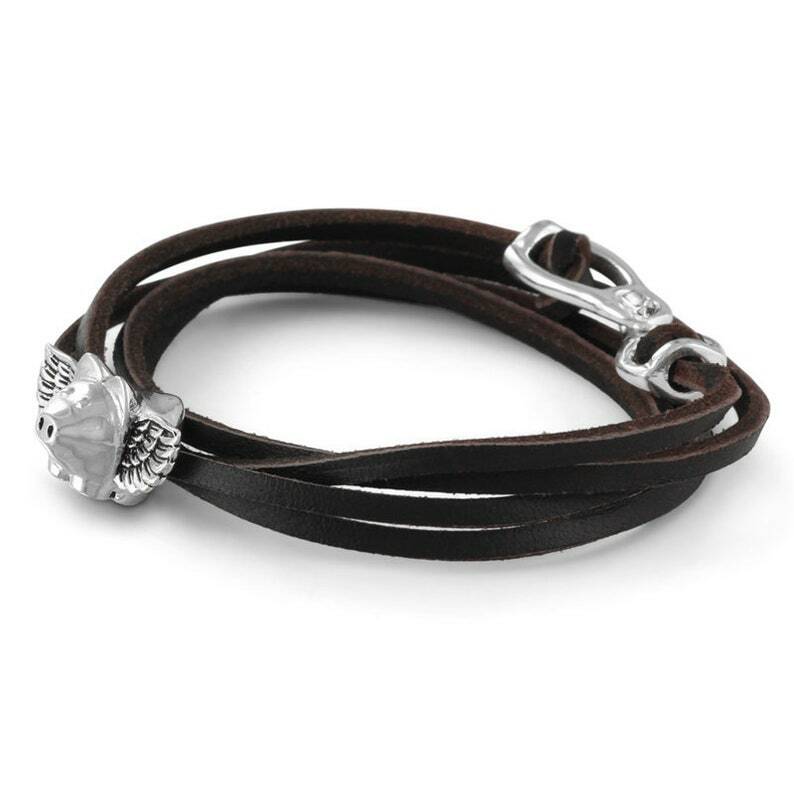 The fully adjustable Lost Apostle clasp means it will fit absolutely any size wrist, and comes with simple fitting instructions. I wear it every day and it makes me so happy! The Charm is so pretty! I have worn it since it arrived. the craftsmanship is excellent,the shipping was secure. Looks fantastic on and is very comfortable!